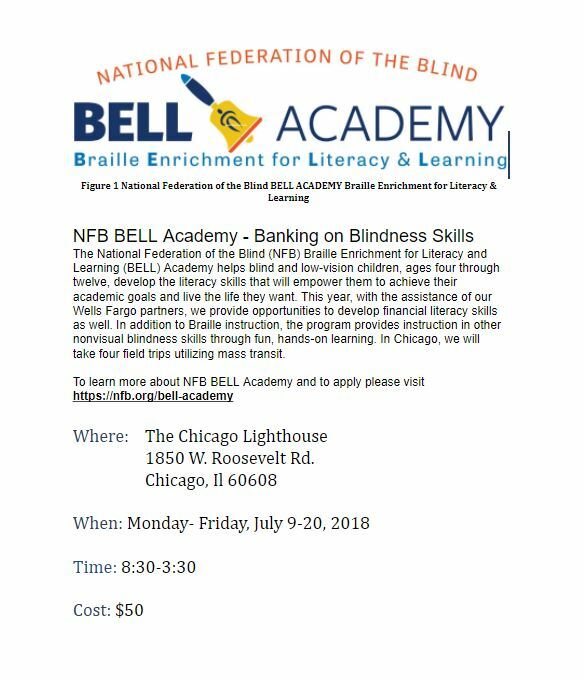 June 25 - August 3 Blind Service Association sponsors a six-week program open to blind and visually impaired students aged 10 to 18. Pathways includes training in daily living skills, such as cooking, house cleaning, shopping, cane travel and money management. Kids also enjoy sports, recreation, performing arts, and field trips to various cultural sites. Activities may include sailing, yoga, bowling, beep baseball, and swimming. Headed by a vision teacher or rehabilitation teacher, the program runs from 9:00 in the morning until 2:00 in the afternoon, five days a week. 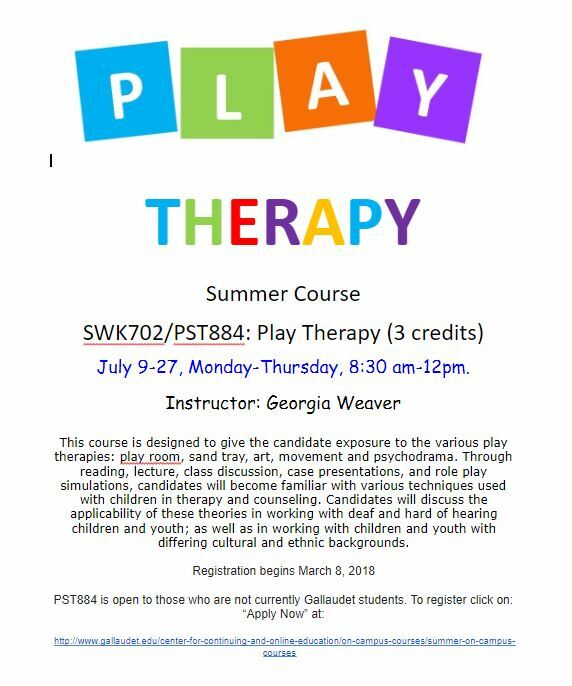 For more information contact Bill Green [email protected] at or at the office at 312-236-0808. Affordable Colleges Online has created a new guide called "A Guide to Visual Disabilities: How College Help Visually Impaired Students Succeed." It brings together extensive information about a wide range of helpful technology, how colleges are working to improve accessibility, expert interviews and tips for success, numerous fantastic resources, and much more. For blind and visually impaired student under the age of eighteen, Read to the Top rewards students for their summer reading. 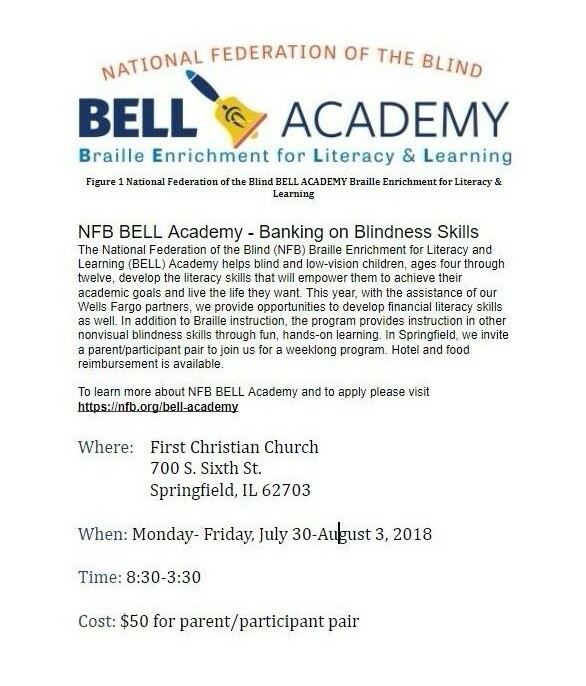 When a student finishes a large print, audio, or Braille book, he or she can fill out a postcard with the book title and contact information, drop the postcard in the mail to BSA (free matter for the blind postage is provided), and be entered to win a grand prize drawing at the end of the summer. Postcards will be available by request. BSA wants to encourage reading among blind and visually impaired youth. Contact Bill Green at [email protected] for more information. Wonderbaby.org has a useful development chart for blind and visually impaired babies and children. 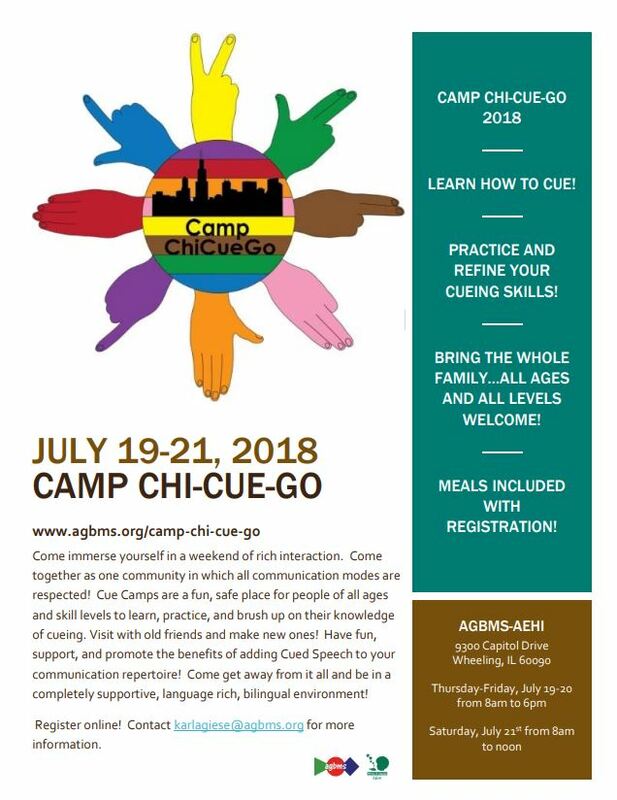 Camp Chi-Cue-Go is coming to Wheeling on July 19! 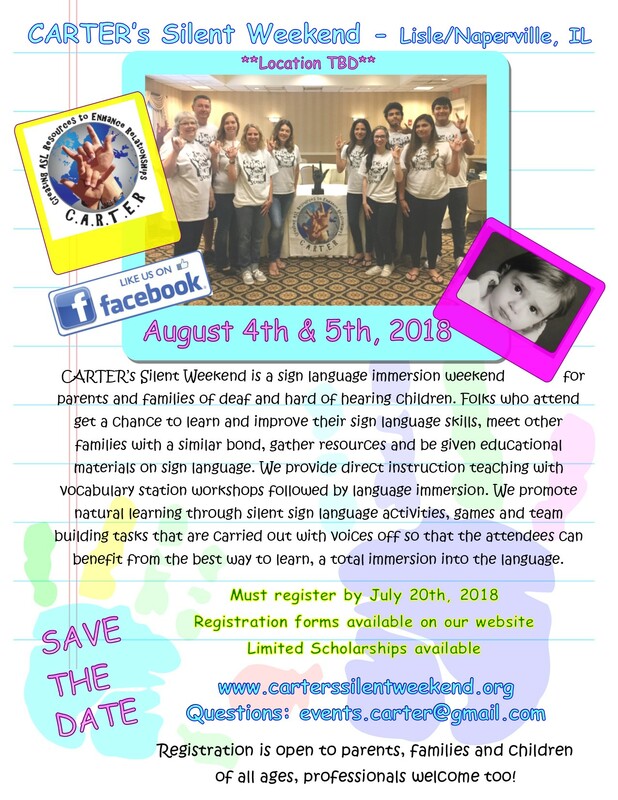 2018 CARTER's Silent Weekend will be August 4 and 5. Click the flyer for more details. Learn more about CARTER at carterssilentweekend.org. 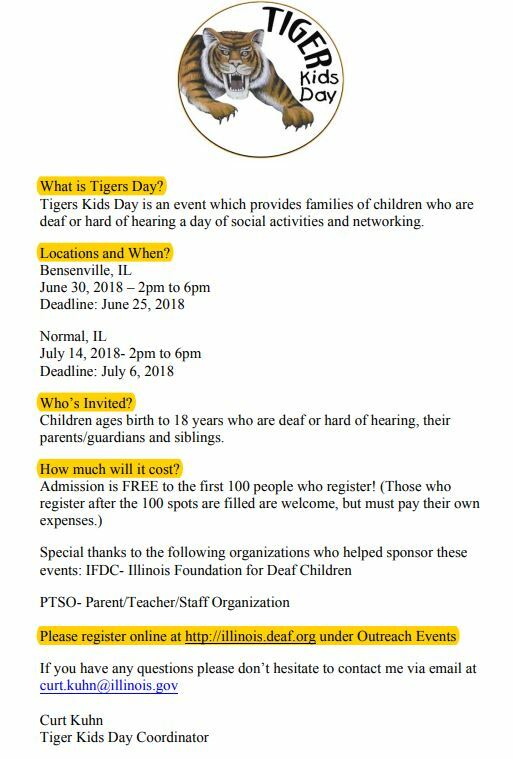 The Illinois School for the Deaf offers a Transitional Living Program for young deaf or hard of hearing adults who are preparing for life after high school. The National Deaf Center on Postsecondary Outcomes (NDC) has created Deafverse, an interactive game that supports deaf youth with the development of their self-advocacy skills as they navigate real-life scenarios based on everyday experiences and setting. Deafverse is based on choosing adventure games, which offer a safe environment to apply critical thinking skills while engaging in problem-based learning by testing a variety of responses to challenges and conflicts. Deafverse is available in English and ASL and can be played on computers or mobile devices at no cost to players. Thanks to Susan Slocum for sharing this resource. 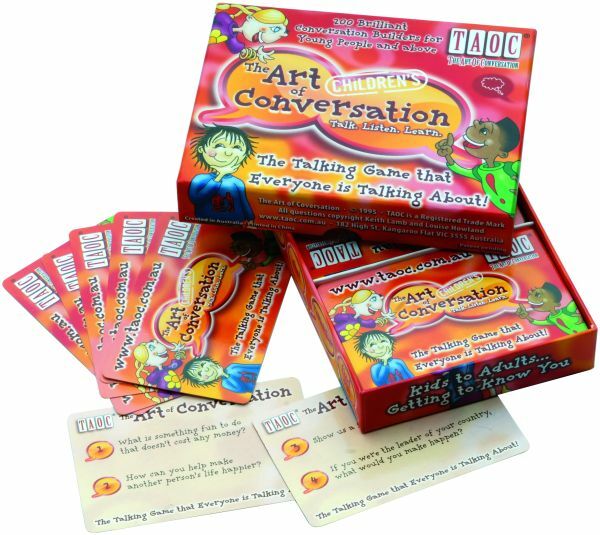 This card game is designed to stimulate conversations in a non-threatening environment. Conversations may assist children to see themselves through the eyes of others and allow their thoughts, feelings, ambitions, hopes, talents, dreams and wisdom to emerge freely. Learning largely takes place through communication and this game allows children to gain more experience in communicating. The ISRC library has many resources including books, DVDs, games, and toys. To request this book or any other library resources, contact [email protected]. The ISRC library consists of an expanding collection of over 1,200 items, including books, DVDs, CDs, test kits, toys, and games related to deafness, deaf culture, sign language, blindness, mental health, behavior management, parenting, and administration. The catalog can be accessed via the Library Page of the ISRC website.